Today’s feature on How I Eat is Polly, one of the lovely ladies who runs Thriving Home. She does a little of everything including: photography, baking, repurposing furniture, sewing, deal-hunting, gardening, and bird watching (yes, bird watching). She regularly feeds crowds of hungry college students at her house and keeps her children (6, 4, and 1) busy outdoors. She’s a go-getter who isn’t afraid of a challenge. I think you’re going to love her tips on meal planning using freezer cooking! I cook for a family of 5. Kids are all under 6 years old. 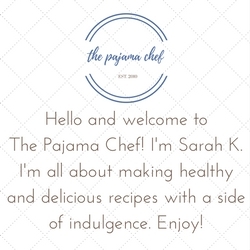 My priorities in the recipes I choose are: whole foods, easy, and tasty! Bonus points if they are freezer friendly. On Friday or Saturday, I look at the week ahead to see what nights we are home. I then look in my freezer to see what I have to build around. From there I use my cookbook, From Freezer to Table, and Pinterest to build my menu plan. Anything from From Freezer to Table! Pasta with marinara. Grilled cheese. Pancakes. Peanut butter & Jelly. Mac and cheese. Quesadillas. I have made freezer cooking part of my lifestyle. I almost always double a meal each week and freeze it (before cooking). Take small steps. Don’t try to completely overhaul your norm or it won’t last. Simply try to plan a few meals a week at first. Double one meal a week and start reaping the benefits of freezer cooking. You’ll be hooked! Thank you, Polly! Freezer cooking is such a game changer. I did a bunch before my son was born and it truly has become a habit! I love your tip to double one meal per week… starting small with these things is the way to go! Your cookbook is a great resource. Connect with Polly and Thriving Home for more inspiration on Facebook, Pinterest, Twitter, and Instagram. Today’s feature on How I Eat is Colleen from Faith, Hope, Love, & Luck Survive Despite a Whiskered Accomplice. Colleen is a Virginia food blogger who specializes in serving her recipes for feel-good southern comfort food with a side of sarcasm and a little bit of cat hair thrown in for good luck. Colleen and her adorable yet extremely neurotic Bengal cat Brenna are known for their not always successful, but often dare devilish food endeavors in the kitchen together. Things don’t always go as expected, but in the end there is always a delicious recipe that will make you wish the two of these girls were your neighbors, because not only do these two love to share their story, but they love feeding anyone who should just happen to stop by for a visit. To learn more about Colleen and Brenna, or just to find a delicious recipe for mouth watering cookies, flaky southern biscuits, sinfully delicious deviled eggs, or numerous other scrumptious treats you’ll just be dying to try, please stop by Faith, Hope, Love, & Luck Survive Despite a Whiskered Accomplice for a visit. Most days I cook for two people, me and B.O.B. Bob, however, I do have people over often fairly regularly, which gives me the opportunity to cook larger meals. 14-15: I eat out almost everyday. My best meal planning method doesn’t exactly involve having a plan other than always making sure certain staples are in our house to create last-minute meals. Breakfast for dinner is a real favorite. Salads with anything and everything thrown on top are a huge hit too. Soup, however, is the ultimate weeknight meal…it can be made ahead and takes very little time to heat up. My Soup Saturday Swappers page has links to several soup recipes perfect for weeknight meals. Grilled cheese, scrambled egg soft tacos with whatever fixings we have on hand, and grilled sausages are a real favorite with our neighbors when we get together as well because we can defrost them in a few minutes. I find that I do most of my cooking on the weekend when I have more time. Thank you, Colleen! Your reminder that having a meal plan doesn’t always have to be super formal is so important. If you can keep staples of your favorite ingredients on hand, dinner can be so easy! Relying on staples is key. And I love having people over too–it’s fun cooking for a crowd on occasion. Thanks for your perspective on meal planning!! Connect with Colleen for more inspiration via Facebook, Instagram, or Pinterest. Getting Ready for Baby Volde: Freezer Cooking Style! Last week I was able to devote time over a few days to making a bunch of meals–20 to be exact. Most are crockpot meals, but I also made up a few casseroles, spaghetti sauce, soup, and burritos to have on hand. I thought about making breakfast and snacks, but freezer space plus time made that not necessary. We are very fortunate in that Ben gets some paternity leave after the baby is born AND then, it’ll be summer break for him… so he can fix me breakfast and snacks while I take care of our cute baby! Hahaha–just kidding…kind of. 🙂 I’m sure having all these meals on hand will not prevent us from ever getting take out or pizza, but I bet this will help! side ideas: salad or steamed veggies like broccoli, green beans, etc. how it turned out: DELICIOUS! Make this again and again! how it turned out: SO YUM! I can’t wait to make this without my simplified modifications. how it turned out: pretty good! Pretty similar to any Mexican chicken crockpot meal, to be honest. Always yummy! how it turned out: one of our favorite meals to this day. how it turned out: great! This was a pretty unique recipe. I stirred in some fresh rosemary after it was all done cooking. how it turned out: always good! Orange Chicken from Who Needs a Cape? side ideas: salad or frozen stir fry veggies or steamed veggies like broccoli, green beans, etc. how it turned out: pretty good. Salty… but that’s true with many Asian dishes. It wasn’t as orangey as I expected but still good. 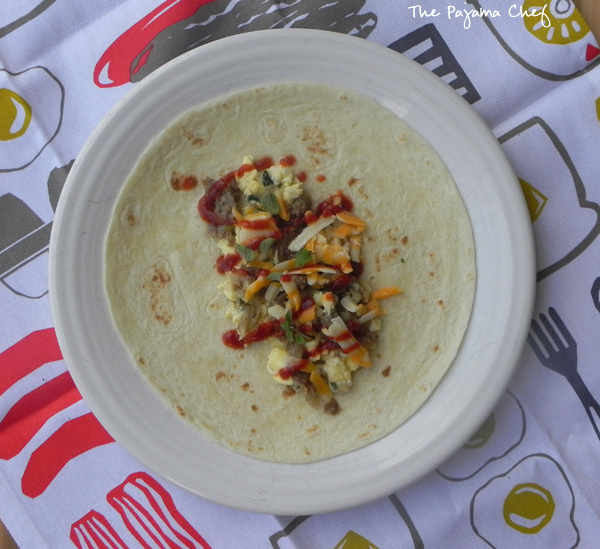 Ranch Chicken Tacos from Who Needs a Cape? how it turned out: typical Mexican chicken dish… delicious! how it turned out: again, one of our favorite crockpot meals. Delicious! how it turned out: this is probably the only meal we wouldn’t make again. Some things shouldn’t be made in a crockpot–smoked sausage is one of them. The peppers also got pretty soggy too. I normally like this dish, but it was too much in the crockpot. Thai Pork with Peanut Sauce from Who Needs a Cape? how it turned out: delicious! how it turned out: new family favorite! I made a few more of these before I went back to work so we could enjoy them again. how it turned out: though we love this meal, the sauce didn’t freeze the best. I’m thinking it was the oil… it’s easy enough that I would skip this as a freezer meal and make it fresh. Grandma Carolyn’s Spaghetti Sauce from Bake Your Day – I made a double batch and froze in quart size ziploc bags. I’ve made this a few times before… delicious! This time, I used 1 pound ground beef and 1 pound ground pork. how it turned out: freezing batches of spaghetti sauce is my new thing! Love this! I’ve made these several times over the years… with chicken, beef, and pork. 🙂 So good! Bake at 350 degrees F for 20-30 minutes or until hot–they can be baked straight from the freezer. Taco Soup from Well Plated – I bought ingredients for a double batch and packaged them in two bags in the pantry. I ran out out of large tupperware, so all ingredients can be combined in a stockpot…takes about 30 minutes to cook! how it turned out: delicious as always! Tomato Basil Bisque from Noodles & Company Copycat Recipes – I made a double batch and froze in tupperware containers. I’ve made this quite often and the original recipe has been taken down but fortunately I saved the recipe here in Google Docs! how it turned out: also handy to have on hand. So good! 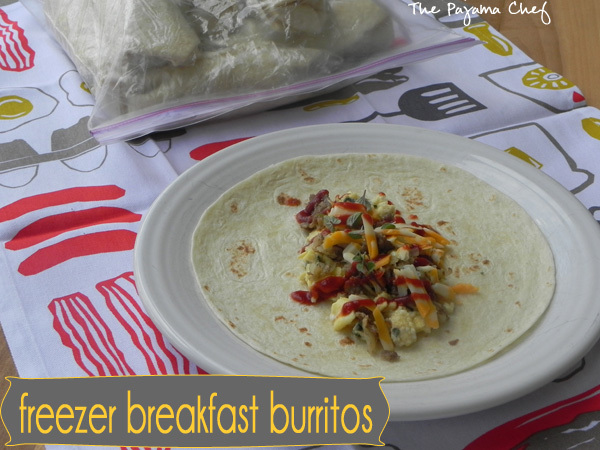 These make-ahead freezer breakfast burritos are the key to Ben’s heart! They’re full of potatoes, sausage, and cheesy eggs and taste great! Ben’s always excited when eggs go on sale because he knows that means it’s time for me to make another batch of freezer breakfast burritos for him! He absolutely loves these things, and I have to admit–I do too. 🙂 They’re great to keep in the freezer for busy mornings. 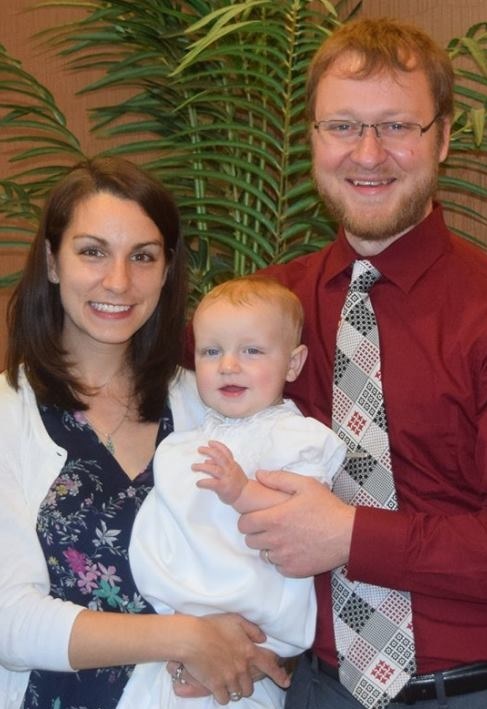 Since Ben has started teaching, we’re on a slightly different [read: early] schedule. I love sending him off to work with a good breakfast, even though that sounds so 1950s housewife. 🙂 But what I don’t love is waking up at 5:20 to make him that breakfast. 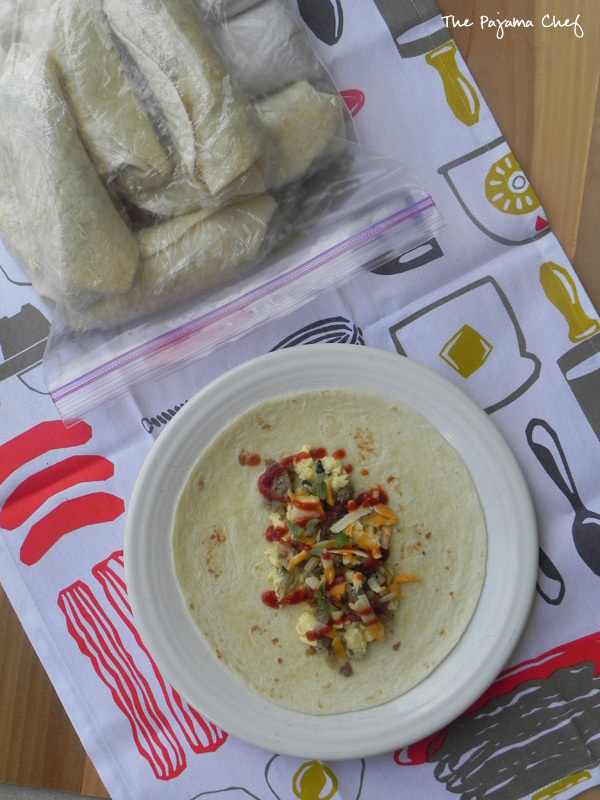 Enter freezer breakfast burritos! There when you need ’em! I have to admit that I’ve been making these burritos off and on for years. When we lived in Indiana, Ben worked 10 minutes from home and he’d often take his breakfast to work so he could use as much of his morning for other things, like sleeping in and working out. Now he usually eats them at home before I get up. Works for me either way! One of the greatest things about these burritos is that they are super customizable. I’ve made them with bacon instead of sausage, and occasionally I’ll sneak some veggies in there with the eggs like peppers, onion, or spinach. Spinach was not his fave addition to these burritos but I liked it! 🙂 I’ve even done a Mexican version, with black beans and salsa instead of sausage, and taco seasoning instead of fresh herbs. No matter how you make ’em, these are a great addition to your freezer. Ben’s even been known to take them for lunch occasionally. The recipe below reflects the amounts I usually use when making these burritos–1 egg per tortilla, 1/2 pound sausage and 1 cup cheese per 10 tortillas. Though you can buy large burrito-size tortillas, I make mine with fajita size tortillas because that’s a better serving size for us. I think there’s about 1/2 cup filling in each burrito but you could certainly adjust the recipe to make bigger burritos if you have more of an appetite. 🙂 These are a great breakfast alone, or can also be served with a piece of fruit or some yogurt. Enjoy! In a skillet set over medium heat, brown sausage and discard almost all the grease. Return sausage to pan. Add potatoes and cook on low heat for 3-5 minutes, until translucent, then set aside. Crack all the eggs in a medium bowl, then whisk in herbs and pepper. Add to another skillet set over medium-low heat, cooking until just set. It’s okay if the eggs are a little runnier than you might normally eat them since they will be cooked again in the microwave later. Assemble the burritos by dividing the sausage and potato mixture between the tortillas, then topping with eggs and a little cheese. This should be about 1/2 cup filling per burrito. Drizzle some Sriracha over the cheese if desired, then roll burritos. 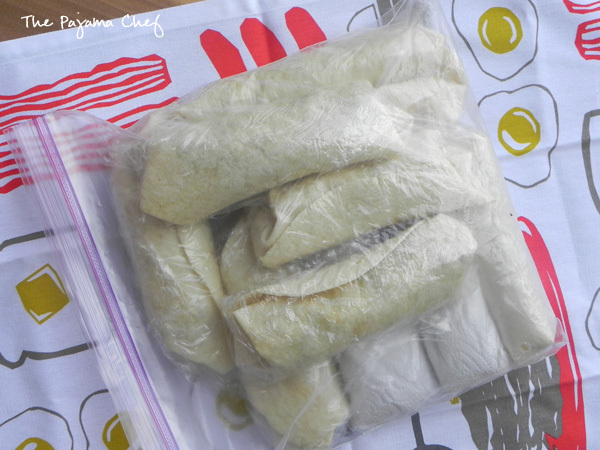 Wrap in a piece of foil or Saran wrap, then place in a freezer safe gallon size ziptop bag. Freeze for up to 2 months, if they last that long! When ready to eat, remove wrapping and heat in a paper towel for 90 seconds-2 minutes. Eat immediately.